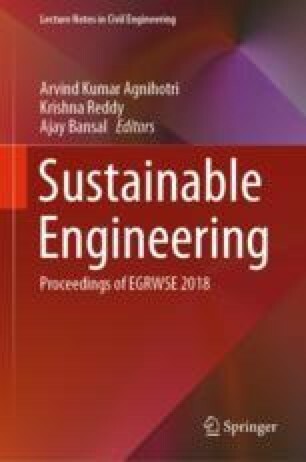 The paper reports the nondestructive analysis of Self-compacting Concrete (SCC) prepared with Coarse Recycled Concrete Aggregates (CRA) as a fractional or complete replacement of Coarse Natural Aggregates (CNA). The SCC mixtures were made with 0, 50, and 100% of CRA. Ordinary Portland Cement (PC) was partly substituted with Fly Ash (FA) up to 30% by weight, which was further replaced with 10% either by Silica Fume (SF). The effect CRA on fresh properties of SCCs was evaluated using J-ring test, L-box test, slump flow test, and V-funnel test. For the nondestructive analysis of concrete Ultrasonic Pulse Velocity (UPV) tests were conducted on the various SCC mixtures at the maturing ages of 28, 56, and 120 days.